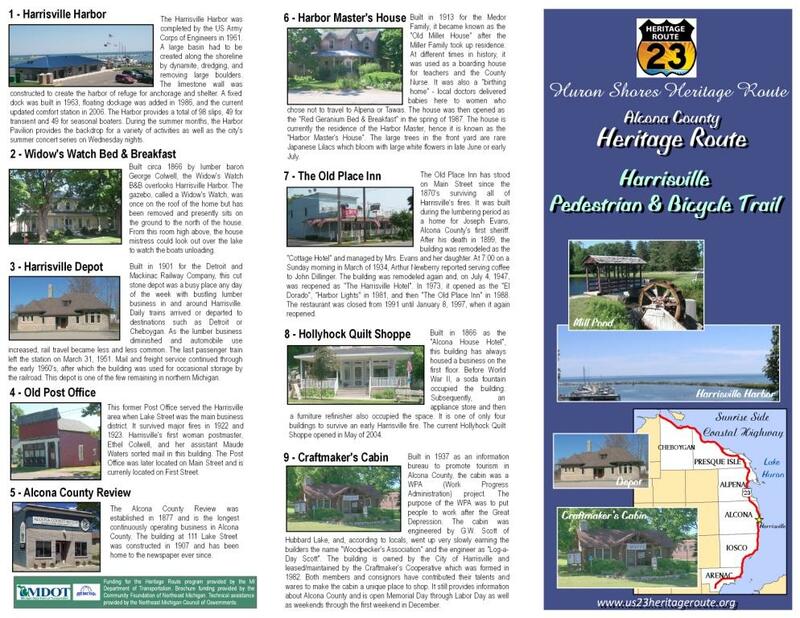 The Harrisville Heritage Route Trail passes by historic buildings in scenic and quaint Harrisville on the shore of Lake Huron. 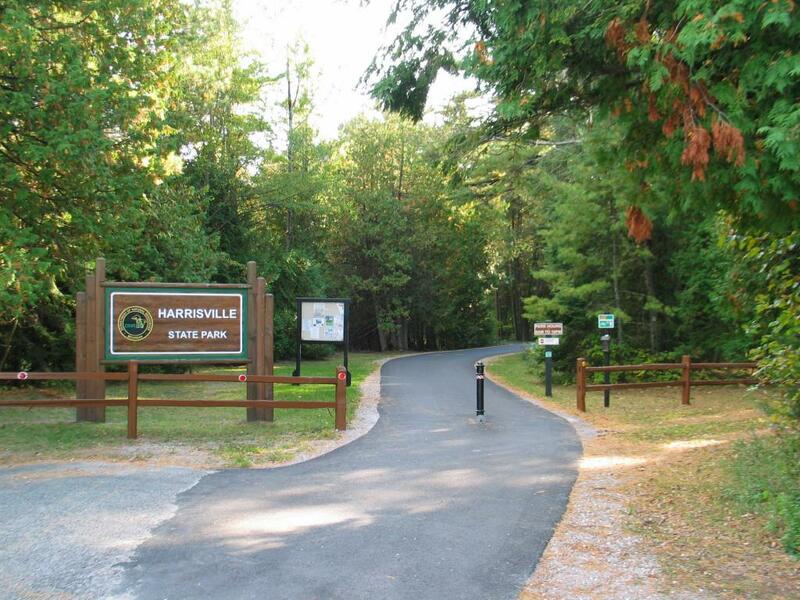 The trail begins at the Harrisville Harbor and follows a route along city streets and greenspace before connecting to Harrisville Township Park on the north end and Harrisville State Park on the south end. The trail will take you past such historic buildings as the Widow's Watch Bed & Breakfast (where the former roof-top gazebo can be seen sitting on the grounds of the property) and the Old Place Inn (where John Dillenger reportedly had coffee). Be sure to stop and take in the spectacular view of sparkling Lake Huron at the end of Main Street. Download the brochure and and follow along as you hike or pedal down the trail through the small town charm of Harrisville!